We are the North West’s leading ATF test centre, testing over 4,000 vehicles each year. 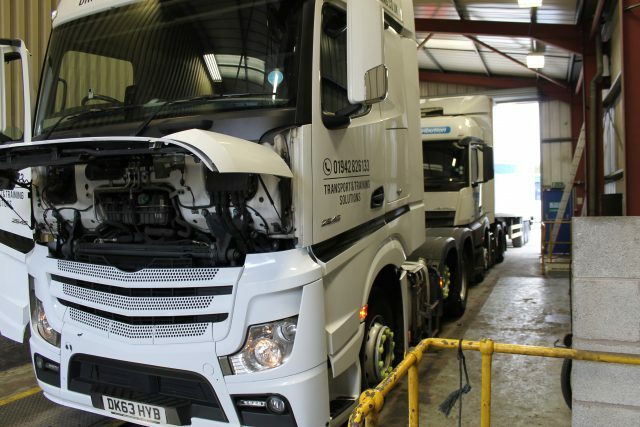 Our purpose built site offers a fully accredited DVSA ‘drive through’ two lane Authorised Testing Facility providing test preparation services on all trucks, with 98% of RNB prepared vehicles passing first time. In addition to this, we also offer hire of our single and double decker testing lanes, allowing drivers of all commercial vehicles to self present their vehicles. Our facility is available to test all heavy goods vehicles, trailers, buses etc. to ensure that they meet all safety and environmental standards and are completely road worthy.